Every time someone bumps this thread I think it will be news of someone's death on the show. A lucky bargain hunter who bought a storage unit for $500 opened it up to find a safe containing $7.5million inside. Dan explained that a lady came over to him while at the Cars, Stars and Rock N’ Roll charity auction event in Indio, California, and said she had a story to tell him. In a video on Twitter Dan explained the lady said: 'My husband works for a guy and he bought a unit from you for $500 (£390) and it had a safe in it. 'The first person that they called to open the safe couldn't, or didn't. It sounds more like a story you float in the press for PR. That story would be everywhere if true. Quite the thrill ride for a first post. I look forward to more tales of derring-do. Reality shows like Storage Wars are heavily edited and some of what you see is even staged for the cameras. It's very possible the producers had Dave Hester recreate his line for the cameras. I really hope English is not your first language. Anyway, Rene and Casey won a locker belonging to Mark Wahlberg. Last month he made a surprise cameo on Million Dollar Listing Los Angeles.And it looks like a Storage Wars appearance might be in Mark Wahlberg's future, after the 47-year-old actor 'lost' his storage locker due to a probable 'clerical error'.The haul of the Boogie Nights star's personal effects including a host of awards and even furniture, was shown off in a video published Friday by Storage Wars stars Rene and Casey Nezhoda. 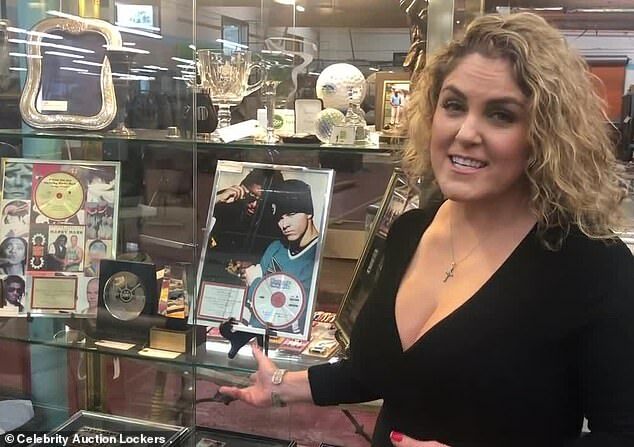 The reality TV couple began by suggesting that due to Wahlberg's vast personal wealth, he was unlikely to have lost the storage locker due to inability to pay the bill.More likely, it was a 'clerical error' involving an overlooked bill. He's known for his bidding skills as a star of Storage Wars. But Darrell Sheets admitted to fans on Instagram that he's heading into surgery following a 'mild heart attack' on Sunday night. The 60-year-old reality star revealed that he has congestive heart failure following a three-month illness, and asked for followers to send their prayers while he is in the hospital alongside fiancee Romney Snyder. Well here we go I wasn’t going to say anything, but you all have been the greatest friends and fans,' he captioned an Instagram post. 'I’ve Been very sick for 3 months and two nights ago I had a mild heart attack,' he continued. 'Found out I have congestive heart failure and a severe issue going on with my lungs. Darrell never struck me as the kind of guy taking good care of himself.